Just send me the Url of your site, and the (short) keyword phrase you'd like to get ranked for, and leave the rest to me! These Backlinks will all be from Profiles I create on sites that have PR7 to PR10 on home page and linking Page. Most of theme are dofollow. My all backlinks are 100% white-hat, organic and natural. Google gives a Backlink from any website above PR 5 immense power, I'll send you a link to the places I got you Backlinks from as proof of my work as soon as I'm done. 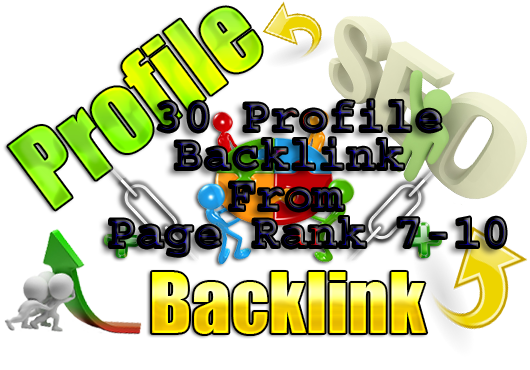 Create 30 Profile Backlinks for your site from 30 High page Rank (PR7-10) and High Authority Site is ranked 5 out of 5. Based on 5 user reviews.